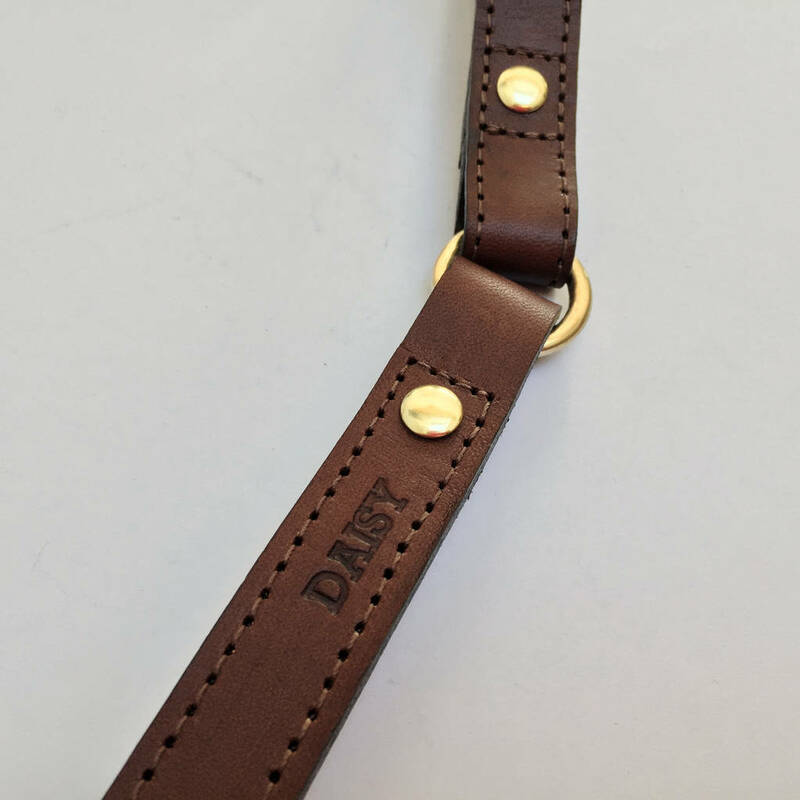 This handcrafted personalised lead can be debossed with your dog's name using our traditional press. 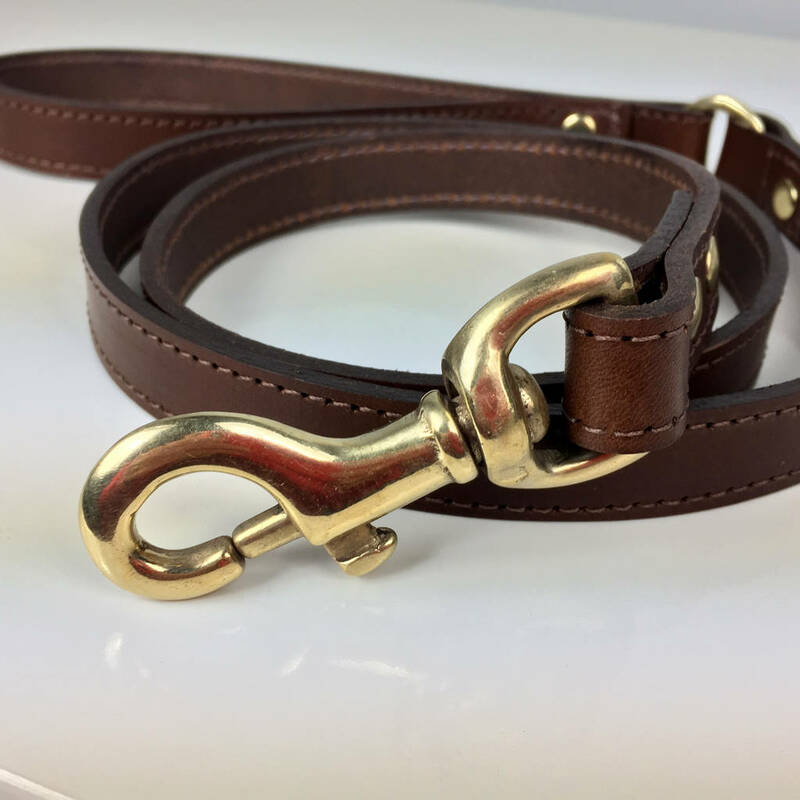 Handcrafted in our South Devon workshop from a black or brown full grain vegetable tanned leather, this design features a solid brass saddlery 'O' ring to assist in both flexibility and allow you to wind the lead around an object to secure it should the situation arise. All lead edges are edge-coated by hand and finished with an attractive top stitch. 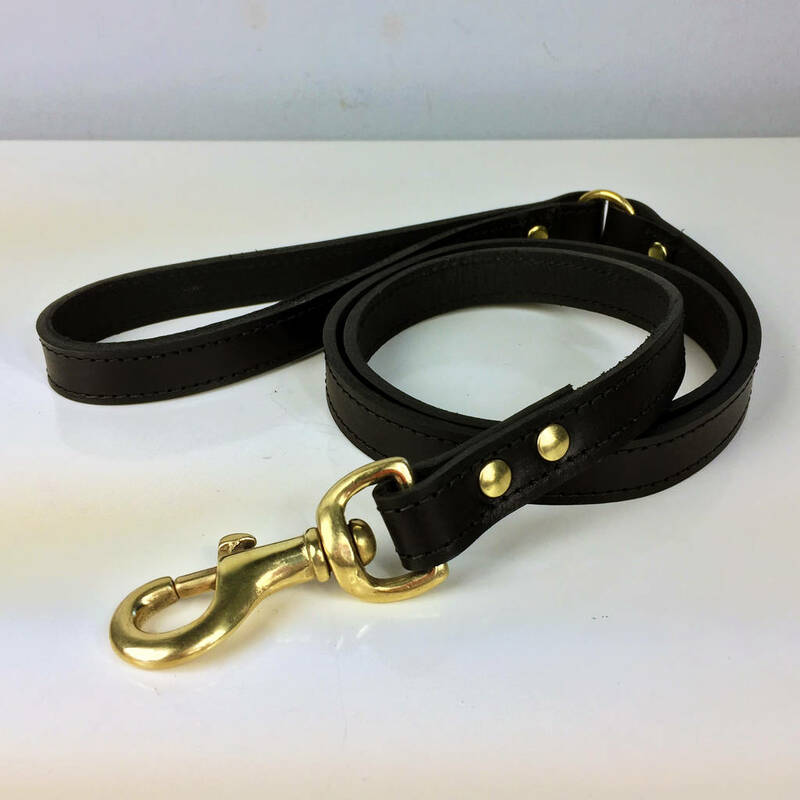 The handle is lined with a soft black pig-split leather. 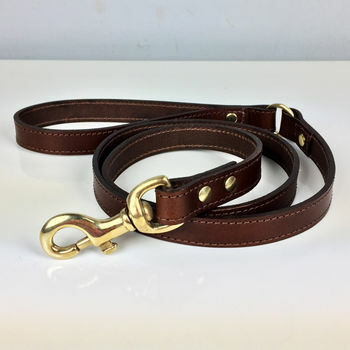 Our leads are 2cm in width and the length is approximately 115cm from the top of the handle to the end of the lead, however, if you require a shorter lead please contact us. We can also make these leads to a bespoke size and colour, please message us with your requirements. 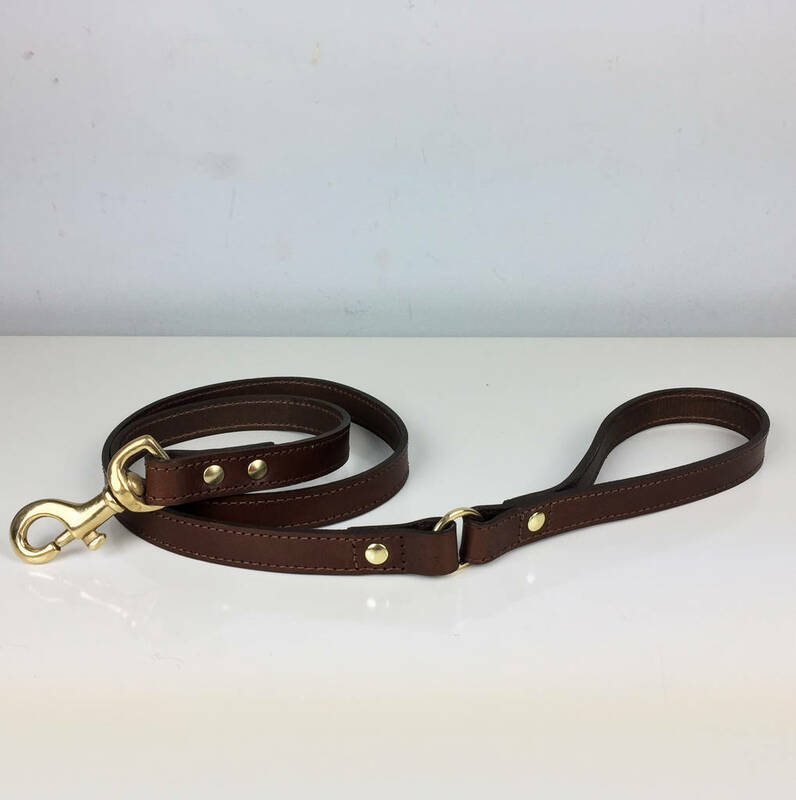 Our leads are 2cm in width and the length is approximately 115cm from the top of the handle to the end of the lead, however, if you require a shorter lead please contact us. 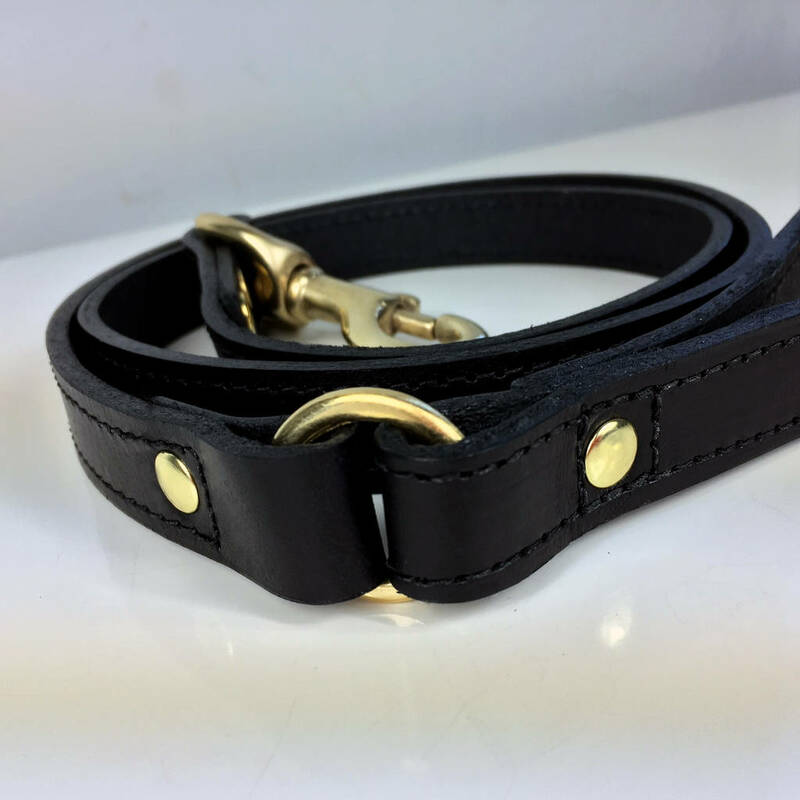 This product is dispatched to you by Freeload Leather Accessories.